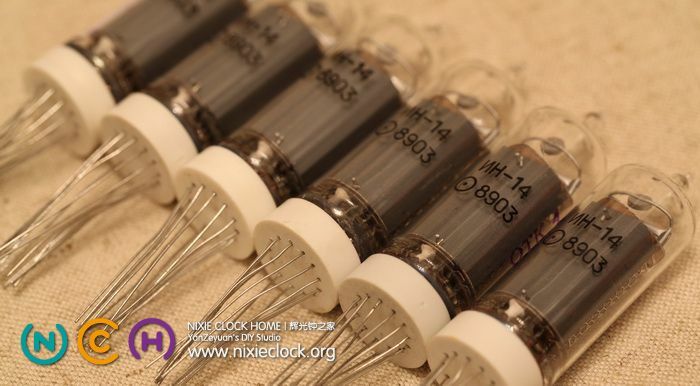 Hello, How much is your Nixie IN-14 clock and where can I buy it? 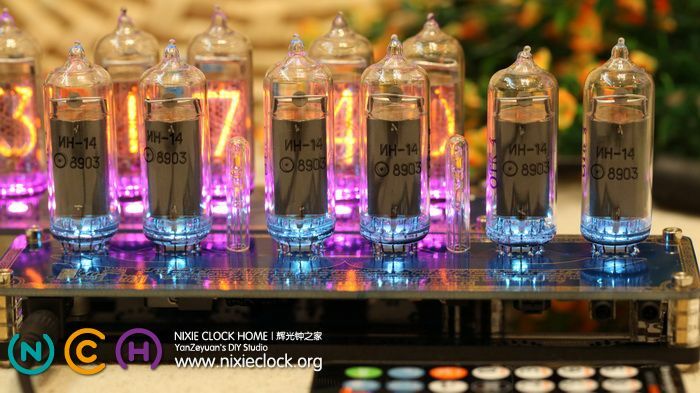 I love the clock however I worry about the exposed wires on the bottom of the tubes. What if someone touches one of them by mistake? Is there not 170v running through these? I want to buy one but have concerns due to this. 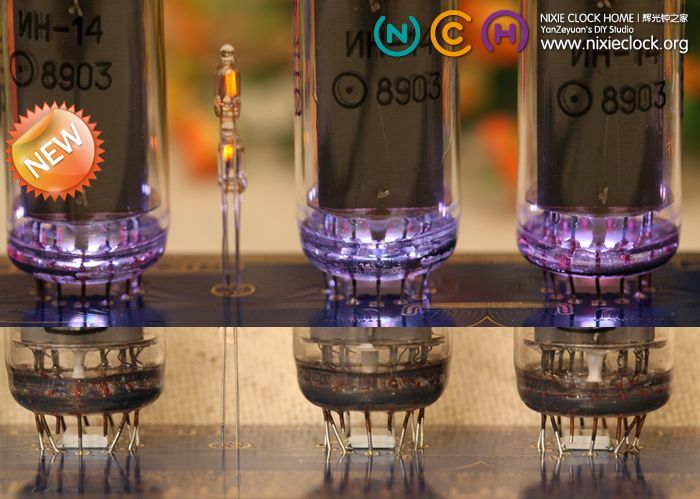 Could you also supply a small transparent acrylic ring to slide over the tube to shield the exposed wires? The ring would only need to be maybe 4-5mm high, would look great and would eliminate the possible electrocution concerns. 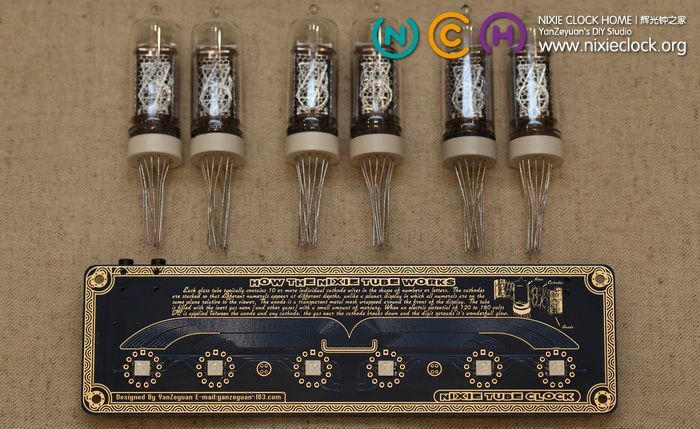 Please don’t worry about the wires of the golden PCB, all golden wires you can see are all connect GND, other signal wires and HV wires are all insulative. But your suggestion is very good, I can order a transparent arcylic plate with laser cut, and put it on the top of PCB, 3mm thickness, if you need, please remind me when you purchase it. Hi, I sent an email to you, check it, thanks! hi does it have the slot mahine effect to prevent cathode poisoning? What GPS module works with your clock? Where can I get it? All GPS receiver with RS232 interface and 4800bps baud rate are all computable, only need rebuild a plug with an earphone plug. 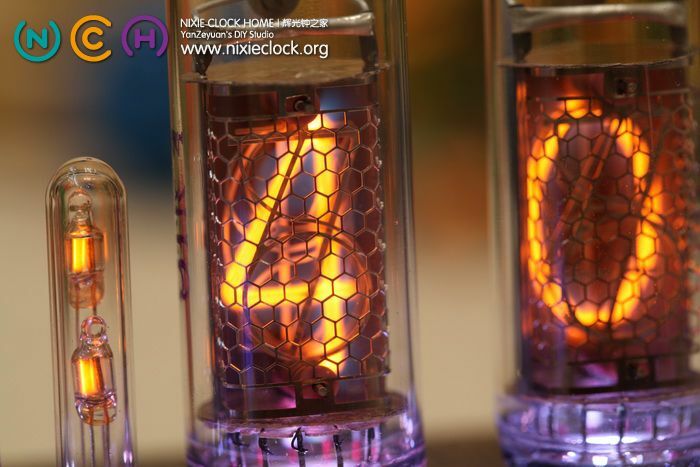 How much is your Nixie IN-14 clock and where can I buy it? I am also interested in IN-18. We bought this clock and I have a question. We didn’t receive any instructions. Is there a way I could get them? Can you send them by email? One other question, what’s the lifetime of one bulb? Do you sell the bulbs in case one breaks? And if so, how much to buy a spare bulb? Thank you, very nice clock. Thank you for your purchasing, I have send the instruction to you, please check it. 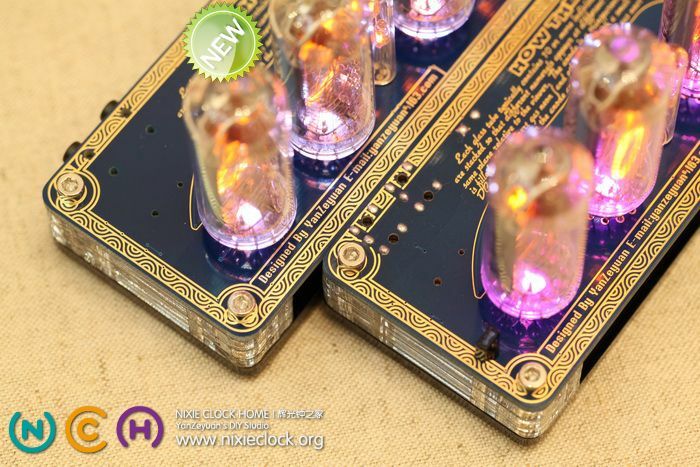 The clock kit price will be 228USD including shipping. You got me confused now. 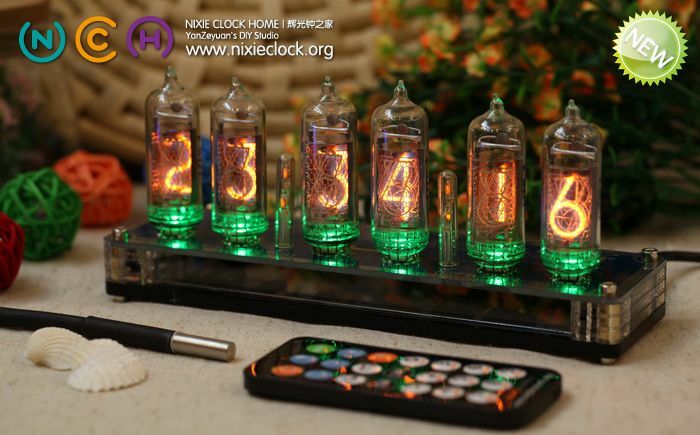 You have assembled kit for $91.96 (http://www.ebay.com/itm/In-case-Nixie-Tube-Clock-by-YS13-3-remote-control-/151288084790?pt=US_Digital_Clocks_Clock_Radios&hash=item233978f936) And disassembled one three times more expensive. Isn’t supposed to be other way around – disassembled to be cheaper than assembled ? 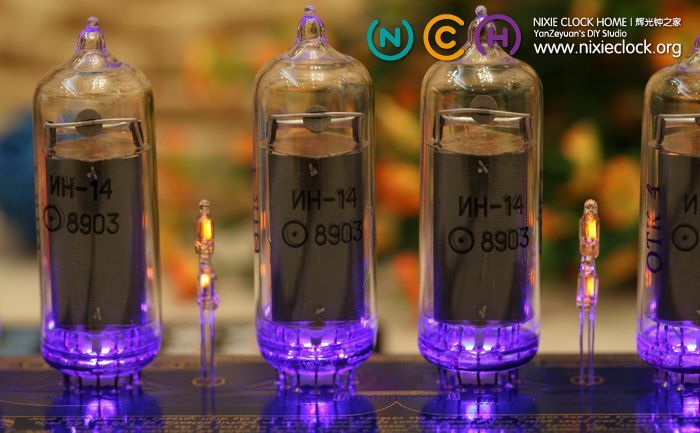 Hi Oleg, that’s not my clock, that’s copy my design, and not the nixie clock, it’s VFD tube clock, YS13-3 tubes made in China, small than IN-14 nixie tubes, you know VFD tubes is very cheap than nixie tubes, they’re different. 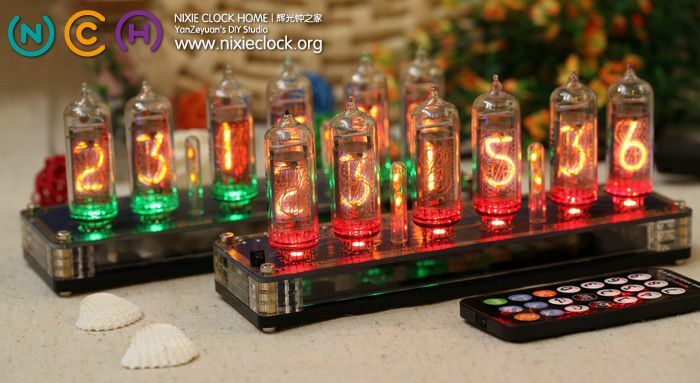 I love this clock and the glow of nixies! 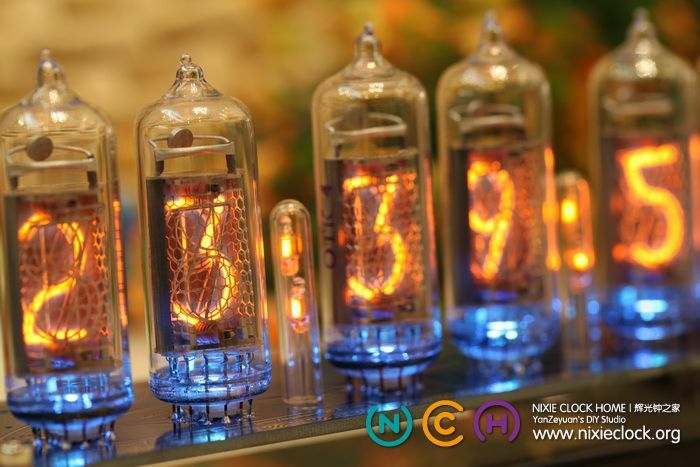 Nixie tubes are an art form that is rapidly disappearing. 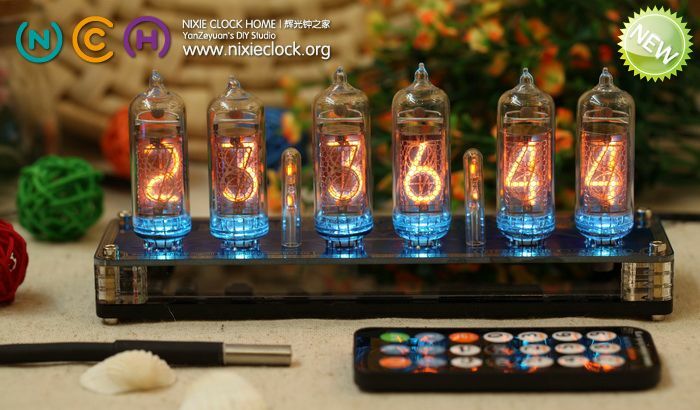 This clock by Yan Zeyuan is a beautiful and fitting way to display both the nostalgia of a the soft orange glow of the nixie tube and the beautiful precision of modern circuitry. 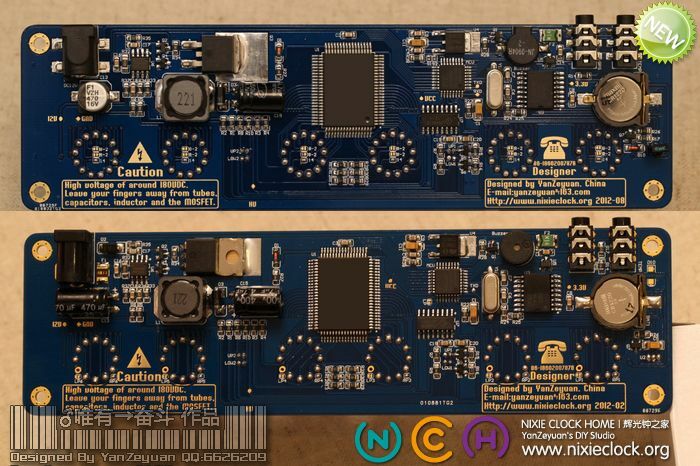 The PCB is a work of art as well as the features and housing of the clock. The remote control is a convenient, easy and complete way to control the clock without the need to mess with buttons all over the chassis. The GPS option also works flawlessly. The only change I could suggest is to add a clear plate to the top of the PCB which would be thick enough or raised to completely cover the soldered leads at the bottom of the display tubes. 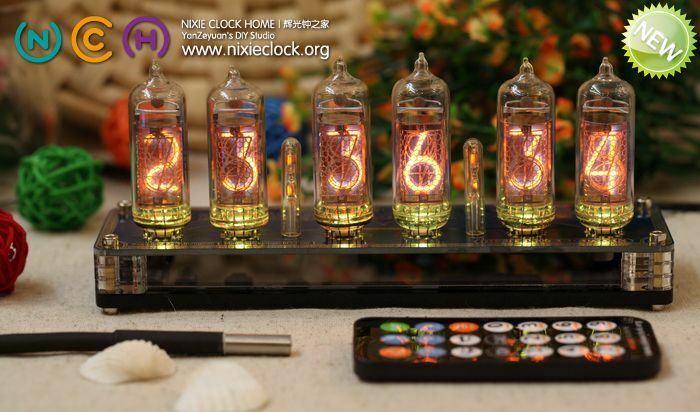 I purchased the version of the clock which uses the IN-8-2 nixie tubes in order to get the correct “5” instead of the upside down “2” as used in the IN-14. The PCB has a clever option to accommodate either the IN-8-2 or the IN-14 at the time of assembly. Very cool! The construction and design are OUTSTANDING! 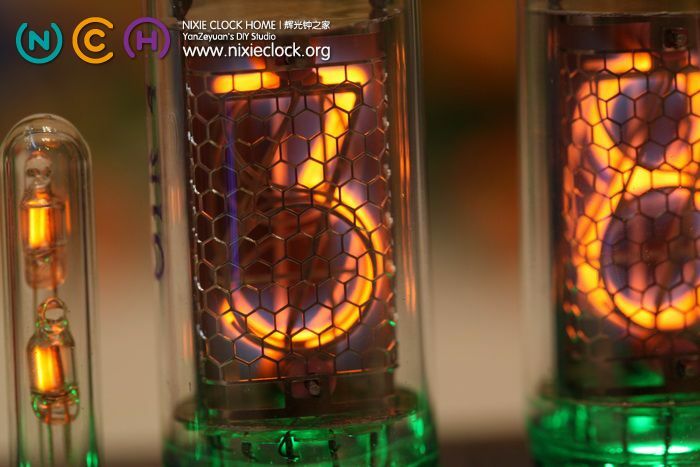 It offers the most complete and elegant small tube nixie clock available anywhere. Thank you for such a beautiful clock, fast delivery and the great design. I think this is the one I actually bought the version 2. Can you please send me instructions and maybe the cost of buying a few extra tubes from you? Thanks, the clock is awesome!!! Dear sir, I sent the user manual to williamlee650@hotmail.com just now, please check it, thank you for your purchasing. Were to download user manual? also where to buy temp sensor? yes, the manual is for version2. If you need temp sensor, I can provide that, only 10USD including shipping. Gorgeous artware. It obsessed me. Hello! 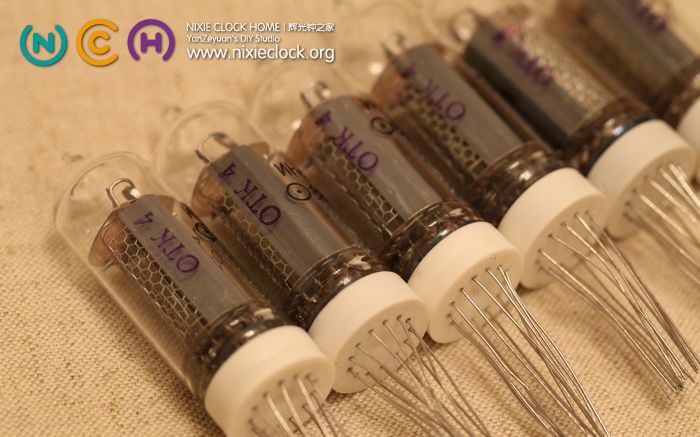 Can I buy you DIY kit (without tube) to built Nexie IN-14 clock? And if “yes”, how much will it cost with shipment to Denmark? Dear sir, thank you for contact. 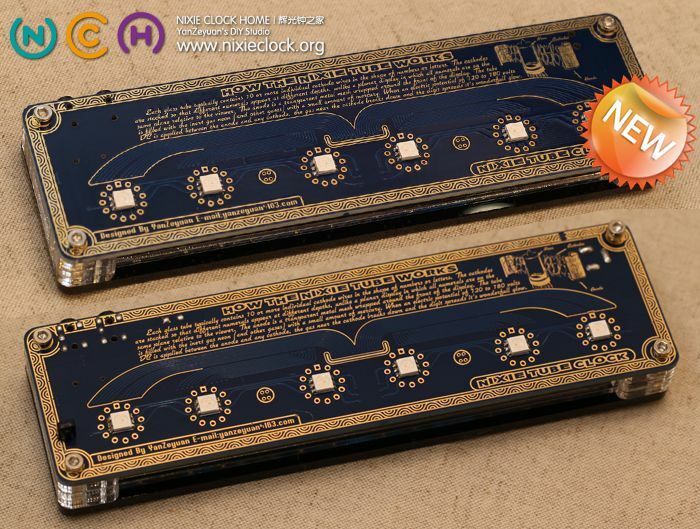 we don’t provide clock kit because all components are SMD parts, difficult to solder and assembly by hand. All parts are soldered by SMT robot, if you need the clock without tubes, please email me yanzeyuan@163.com, you can prepare tubes and solder them by yourself. thank you for your purchasing, user manual has been sent just now. Hello! I just purchased your clock and I love it! Can you please send me the user manual. Did not see the the manual online. Great clock! Got it for my girlfriend as a Christmas gift. She loves it, but wonders, is there a way to turn off neon colon breathing? Hi David, it’s my pleasure that your girlfriend like my clock, but sorry the neon colon can not turn off or lighting always. I was wondering if the IN-14 clock is still available for sale. I clicked the ebay link, but it is expired. I cannot find a way to purchase one of your wonderful clocks on this site, and I was hoping you could direct me there. Many thanks for your assistance. Hi, it’s my pleasure that you like my design, please check item on eBay here: http://www.ebay.com/itm/-/272288333942? 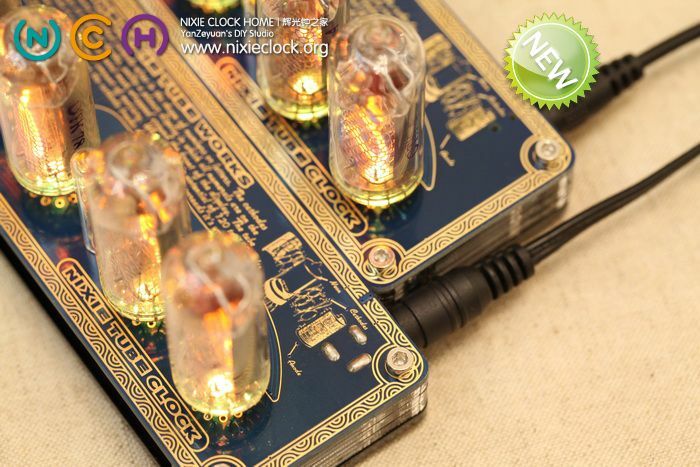 Hello sir, I would like to know are you still selling this product, if yes, is there an option for no nixie tubes? Which mean selling the soldered board only. Sorry for late reply, I just come back from US yesterday. Yes if you need the clock without tubes please let me know, I can give you an offer for it, email me at yanzeyuan@qq.com. Thanks. Yan. Hi, I just bought this at the 2017 Maker Faire in San Mateo California this summer. I would like to buy another one. I would also like to buy the small tube that covers the ‘:’ between the numbers. The cover tube fell and broke. Your eBay shop doesn’t show you have this for sale, how can I buy it? Hi Ryan, My partner Aiden will contact you soon, thanks. Yan. Also wondering if you would make a USB power for this. That would be great. 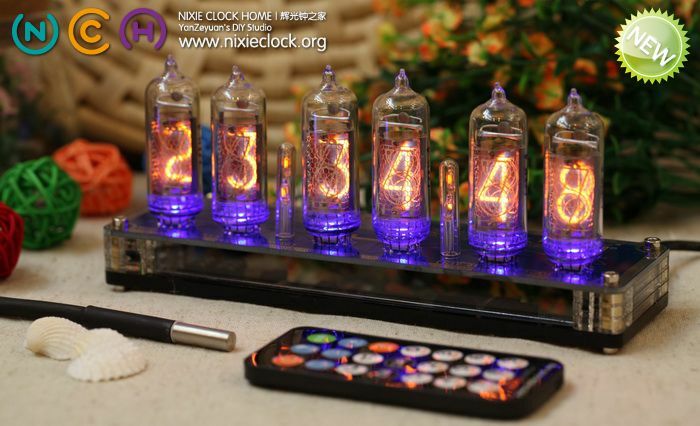 Your IN14 Nixie clock with remote (assembled from Amazon) is wonderful. I am confused, however, about how to change the LED color mode. Would you be so kind as to tell me what buttons to push on the remote to do this?